The classic medical text known as Gray's Anatomy is one of the most famous books ever written. Now, on the 150th anniversary of its publication, acclaimed science writer and master of narrative nonfiction Bill Hayes has written the fascinating, never-before-told true story of how this seminal volume came to be. A blend of history, science, culture, and Hayes's own personal experiences, The Anatomist is this author's most accomplished and affecting work to date. With passion and wit, Hayes explores the significance of Gray's Anatomy and explains why it came to symbolize a turning point in medical history. But he does much, much more. Uncovering a treasure trove of forgotten letters and diaries, he illuminates the astonishing relationship between the fiercely gifted young anatomist Henry Gray and his younger collaborator H. V. Carter, whose exquisite anatomical illustrations are masterpieces of art and close observation. Tracing the triumphs and tragedies of these two extraordinary men, Hayes brings an equally extraordinary era-the mid-1800s-unforgettably to life. But the journey Hayes takes us on is not only outward but inward-through the blood and tissue and organs of the human body-for The Anatomist" "chronicles Hayes's year as a student of classical gross anatomy, performing with his own hands the dissections and examinations detailed by Henry Gray 150 years ago. As Hayes's acquaintance with death deepens, he finds his understanding and appreciation of life deepening in unexpected and profoundly moving ways. The Anatomist is more than just the story of a book. 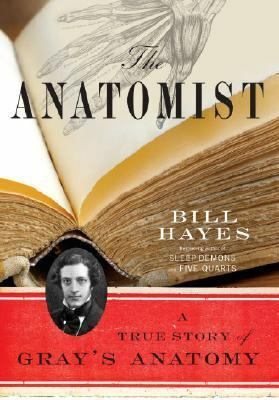 It is the story of the human body, a story whose beginning and end we all know and share but that, like all greatstories, is infinitely rich in between.Hayes, Bill is the author of 'The Anatomist', published 2007 under ISBN 9780345456892 and ISBN 0345456890.